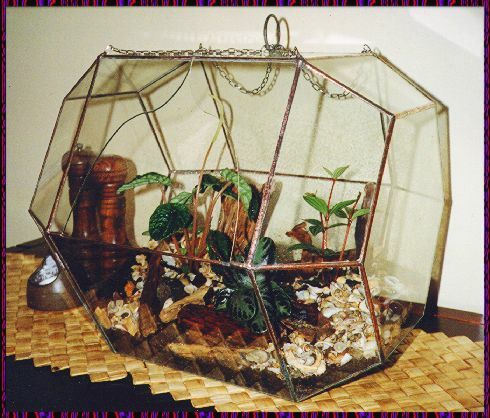 #GA9 Glass barrel terrarium 12 in. dia. I like them big, roomy and simple. This barrel design looks great and has lots of room for the plants to live. I make them from 3 mm window glass so they are good and strong.